Teen drivers throughout the country are faced with countless dangers on city streets and highways. Teens are the demographic most likely to cause a car accident, technology poses the temptation for distracted driving, and scientific studies have even shown that the teen brain may not have developed the motor skills and emotional maturity to drive safely. As California teens hit the road more during the summer holiday, they should take precautions to stay safe and aware at all times. And since California teens receive their restricted license at 16 and their unrestricted license at 18, they can take the summer to boost their knowledge of state driver laws and practice safe driving techniques. This resource is designed to raise awareness about the increased danger of summer driving for California teens and suggest methods to improve driving skills during the summer months. Take a look, and share your teen driving stories on our Facebook page. There are nearly twice as many car accident deaths during the summer months than the rest of the year combined, according to the NHTSA Fatality Analysis Recording System. Teenagers have been responsible for almost 50 percent more drunk driving accidents during the summer months than the rest of the year, according to the Washington Regional Alcohol Program. In the summer of 2008, nine teens between the ages of 16 and 19 died each day, according to the Centers for Disease Control and Prevention. The NHTSA and AAA report that in Northern California, the 101 days between Memorial Day and Labor Day are the deadliest for people under 20. Teen car accidents begin to rise in May and reach their peak in July and August. An average of 104 drivers aged 16 and 17 are killed in both July and August, a 20 percent increase over other monthly teen car accident deaths, reports AAA. 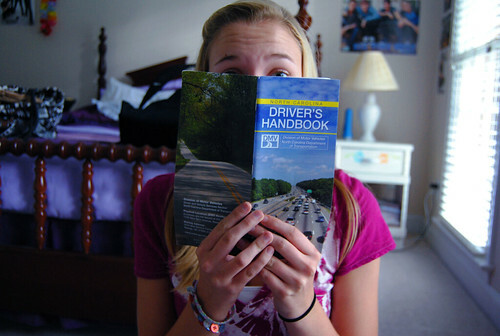 There are many ways to prepare for the written and driving tests required to receive a California drivers license. First of all, visit the California Department of Motor Vehicles website for information on how to receive a license at any age. The CA DMV publication section also includes handbooks on California road laws and safety suggestions. For teens who learn better with audio and visual resources, the DMV provides an audio California Driver Handbook and videos on rules of the road, sharing the road, and the dangers of distracted driving. If you feel that you would prepare more successfully for the drivers license tests in a classroom setting, most high schools will refer students to local, quality drivers education courses throughout California. Make sure the course has at least 30 hours of classroom instruction, and includes at least 6 hours of real driving experience. If you’re still having trouble, refer to this AAA guide on choosing a great driving school. For more teen driver safety resources, visit our Parent-Teen Safe Driving Contract and our checklist for what to do after a car accident.